A right angle pipe and boiler tube machining tool has been upgraded with a new air motor which provides more torque at the cutter head and is easy to disassemble and clean is being introduced by ESCO Tool of Holliston, MA. The Esco Ground MILLHOG® is a right angle drive I.D. clamping tube beveling tool that requires only 1-1/2” clearance, easily fits into water wall boiler tube panels, and includes all attached wrenches. Featuring a 1 HP pneumatic motor that is easy to disassemble and clean in the field, and a robust gear train with a proprietary gear reduction design, this tool operates at 125 RPM and produces 41 ft.-lbs. torque at the cutter head. Suitable for tubes from 1/2” I.D. 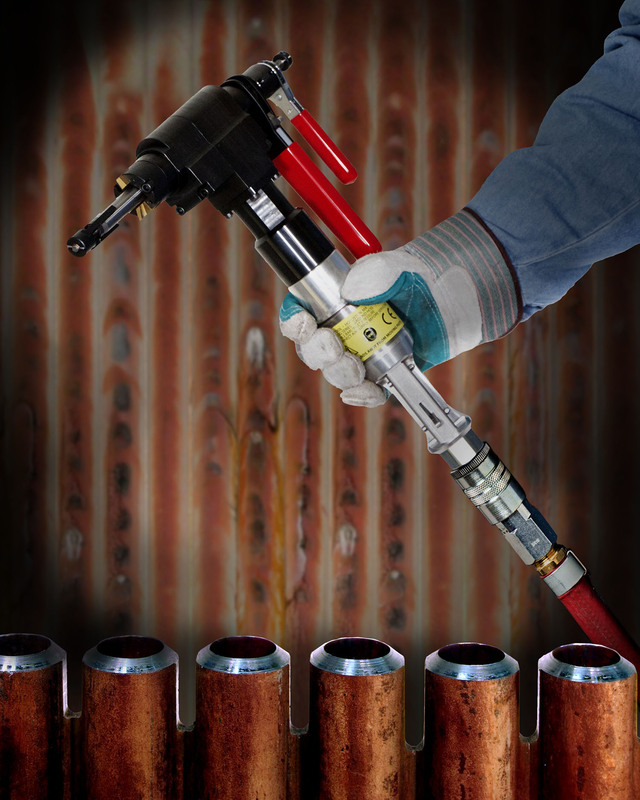 to 2-1/4” O.D., the Esco Ground MILLHOG® is designed to machine tubes that are highly alloyed, or have high chrome content, using TiN coated cutter blades and no cutting fluids. Equipped with a push-pull clamp and release that disengages easily, ratchet feed, and a safety lever throttle, this tool can be used in any orientation. The Esco Ground MILLHOG® is priced from $4,995.00 and is available for rent. Pricing and literature are available upon request. A Unit of Esco Technologies, Inc.